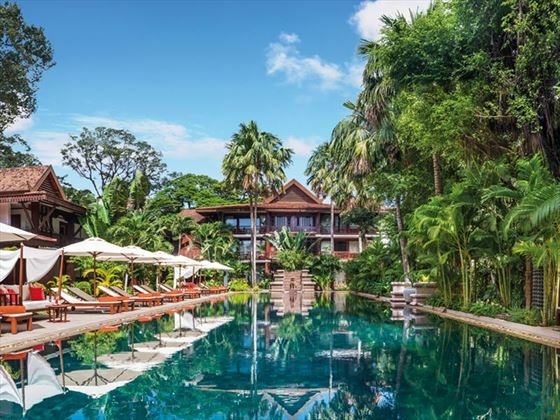 The hotel is centrally located in Siem Reap and it’s just a 15-minute drive to La Residence from Siem Reap airport. 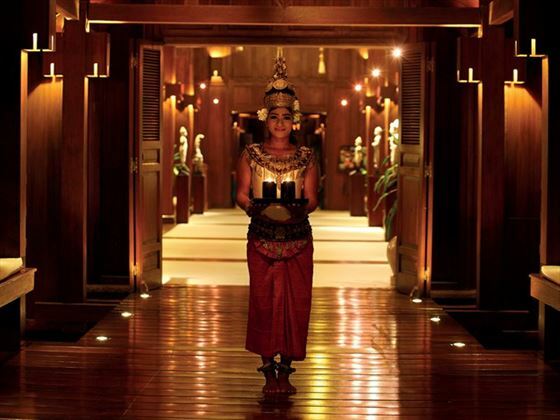 Nightlife and markets are just a short walk away and the Angkor Wat complex reached within around ten minutes drive. 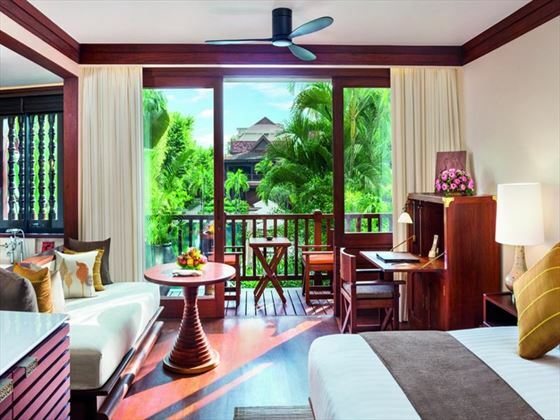 Each of the 59 spacious rooms and suites are exquisitely decorated using traditional hardwoods, bamboo and natural textiles such as silk and cotton. Light and airy, with silk scatter cushions and floor-to-ceiling windows, they exude peace and tranquillity. All rooms have a terrace which is elegantly furnished with loungers and a table just perfect for an early evening cocktail. Wide-screen LCD HDTV and iPod dock and a minibar with complimentary bottled water also come as standard. Junior Suites - Featuring a living area, separate dressing area, walk-in Wet room with separate shower and bath. There are Poolside or Garden View Junior Suites. Deluxe Studio Suites - Significantly bigger with large terraces and views from the first and second floors. One Bedroom Poolside Suites - Even larger still with a separate bedroom and living area. Two restaurants and a lounge bar await your pleasure. 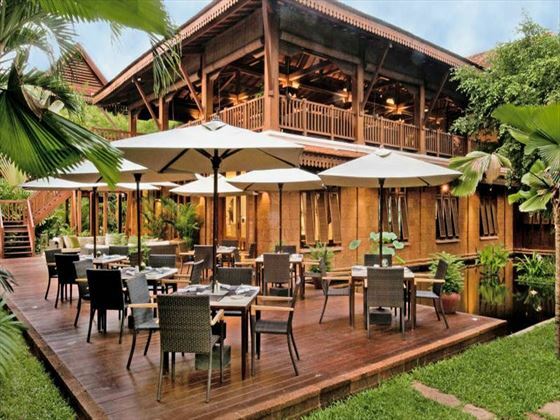 Spice Circle is the main restaurant where breakfast is served and you can sample a buffet style Khmer feast for dinner for a set price including drinks. Ember is the lighter option dinner or for a poolside lunch. The Martini Bar is perfect for a cocktail and open until midnight.